Why buy from Eight Different Suppliers when you can buy from Just One? Fabrication Facility - Mosinee Wisconsin. 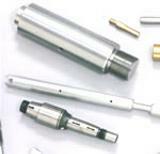 See samples of parts we have manufacture for top OEMs in a variety of industries. 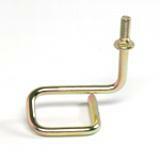 Welded Assemblies Machine Parts, Wire Forms, Stamping and Tube Fabrication. Take a look at our range of capabilities. G3 has a state-of-art manufacturing facilities and over 200 employees to take on your most challenging parts. G3 supplies parts for leading OEMs such as John Deere, Toro and Harley-Davidson in a broad range of markets. G3 employs highly skilled customer service, engineering, tooling, production and quality assurance staff to meet the needs of our most demanding customers. G3 continues to invest in new equipment and businesses that add value and reduce costs of our customers. Answers to Frequently Asked Questions. Click here for telephone and email contacts to our engineering tooling and quality assurance experts. Click here to read more about benefits of working with G3. Email us your most challenging parts. We will get a quote back to you with-in 24 hours. * Click here for contact information. G3 can assist with designing your parts.